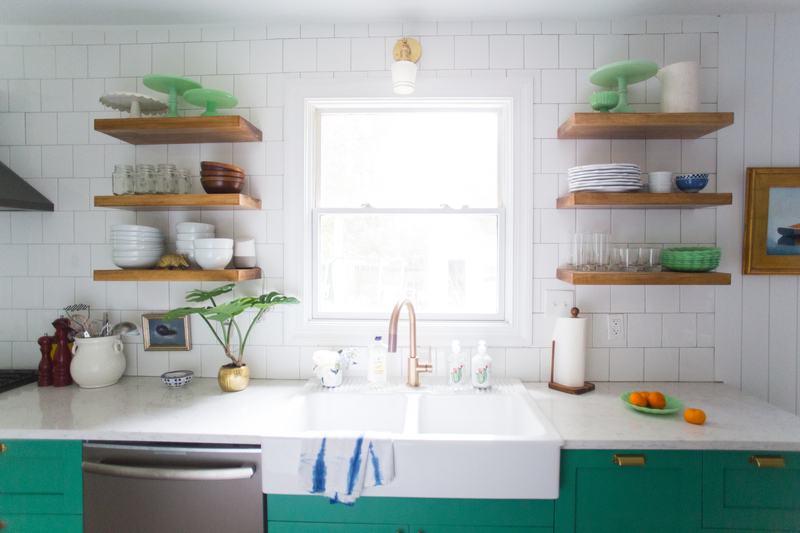 As we finished the first major renovations on our fixer upper in Richmond, Virginia, I realized it was time to focus on the details. We have moved a bunch of times, and each time I have tried to make our house a home with intentional design and decor. Our needs change as our family changes and I like to keep current by creating spaces that work for our current lifestyle. Sometimes, though, it gets overwhelming! There are so many things to do to a new (and old…and any!) house to make it feel just right. When I thought about the WHOLE HOUSE my head would sort of spin, but when I broke it down into rooms, I was much happier thinking through the projects. On a whim, I mentioned to Dave I wanted to focus on one room per month after we moved in, until each room in the house was complete. When I break it down, I will be able to focus on 1 room per month for 1 year and be all settled in and complete after the year is up. I have long said it takes me about a year to settle into a new home this focused approach will make that time fly by! After thinking about this personal challenge for a little while, I mentioned it on my Instagram Story (where all the cool people hang out and chat with me…) and I heard from a bunch of friends that they wanted in as well! A couple google searches later and I had set up the Live Free Creative Crew facebook group, where people can share progress, post design questions, and generally feel supported by a whole group of friends participating in the same challenge. Its been 2 weeks and there are over 450 people all working on their own Room by Room challenge this month…and I suspect we will gather people as time rolls on. There are not a lot of guidelines to this challenge, it is what you make of it. The PURPOSE is to FOCUS your energy, money, and time on ONE ROOM at a time and follow through to completion. I have had so many of these awesome people tell me that they are so happy I shared this challenge because they are finally working on projects that they have been meaning to do for a long time. A little focus was all it took! 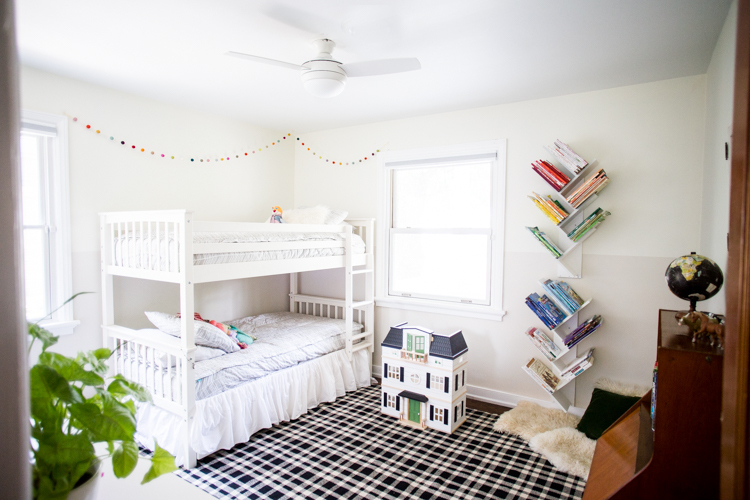 I decided to begin with my kids shared bedroom this month, and will move onto my son’s bedroom (that doubles as a guest room) next month so all of the kids are squared away before school begins. I am excited to give each room in our home the attention and intention it needs to become exactly what I hope for it. I am excited to share about each room as I work through them, and I am also SO excited to have a whole tribe of people working on their homes at the same time! So, you in?